Every couple of weeks, around a hundred (formerly Paragon, now Compass) agents get together to discuss the market and share their sense of what’s going on. Is there lots of activity at open houses? What’s selling? What’s not? Are buyers active – or tired? Are sellers getting greedy? That sort of stuff. We also receive regular updates from our stellar Chief Market Analyst, Patrick Carlisle – the best in the business – who puts together the charts that I use in these newsletters. The last few meetings have been interesting. More than a few agents have talked about slow open houses on week-ends and buyer-clients that are choosing to look outside of San Francisco (I myself have one couple who are considering a move to Seattle). And rather than listings receiving a dozen offers, agents are happy to have two or three. Or one. 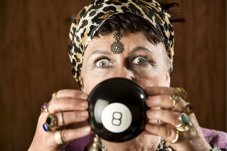 The practice of creating a blind auction by calling for offers on a specific date may be starting to backfire. Some properties are receiving no offers at all. That puts the buyer in the driver’s seat, so more and more agents are returning to the almost ancient way of taking “offers as they come.” Who knows, maybe we’ll even start seeing offers written with contingencies again. This feeling “on the street” that we may be experiencing the start of a slowdown or correction has been in the news as well. 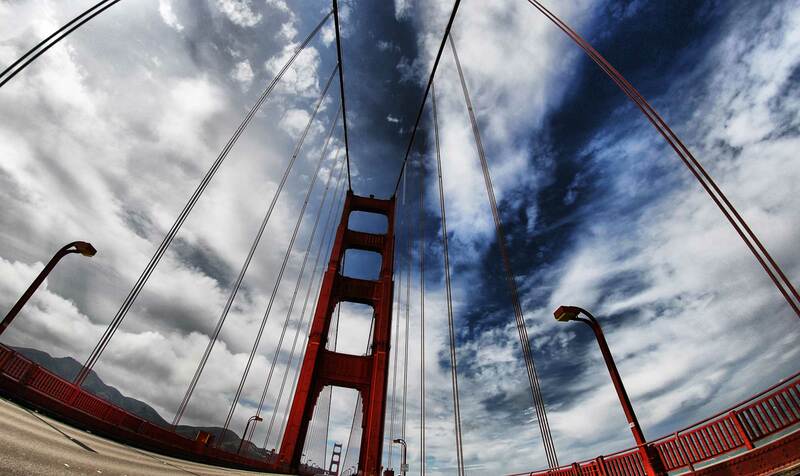 The New York Times reported recently on cooling markets in New York, Seattle, Denver and “even” San Francisco. Yet – so far, at least – it hasn’t shown up decisively in the data. 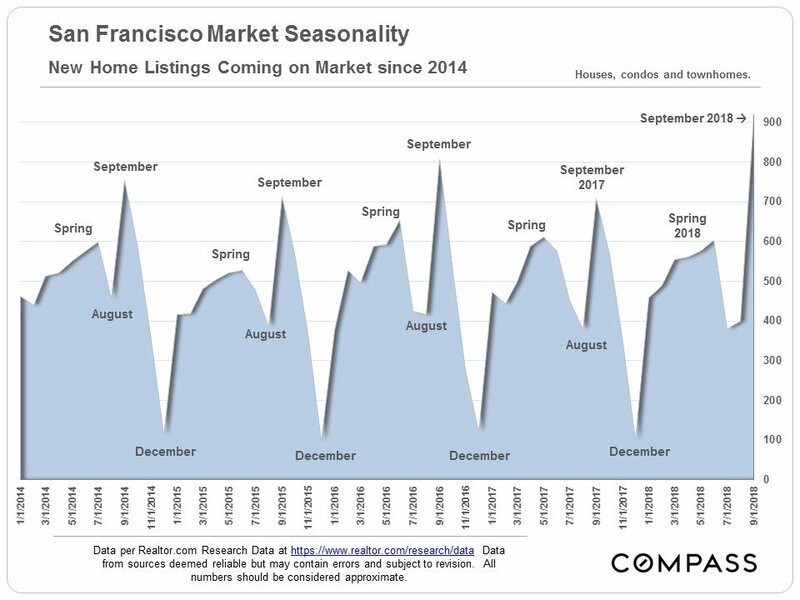 The biggest reason may simply be that data is backward-looking – by about 45 days, which is about how long it takes for a property to get from “on market” to “sold.” A second reason is seasonality. Sales, particularly at the higher end, always slow down during the summer. This results in the data showing fewer new listings, fewer sales, and lower average prices during the summer months and through to September and even October. Thus, seasonality can itself obscure an underlying slowing trend. So while median single family home prices dropped to $1,570,000 in the third quarter from their all-time high of $1,620,000 in the second quarter, this could be nothing more than a recurring seasonal effect. (Median condominium prices dropped from $1,235,00 in Q2 to $1,200,000 in Q3.) And before anyone panics, it’s worth noting that home prices were up 15% over Q3 2017 and condos were up 4%. But take another look at the top chart. 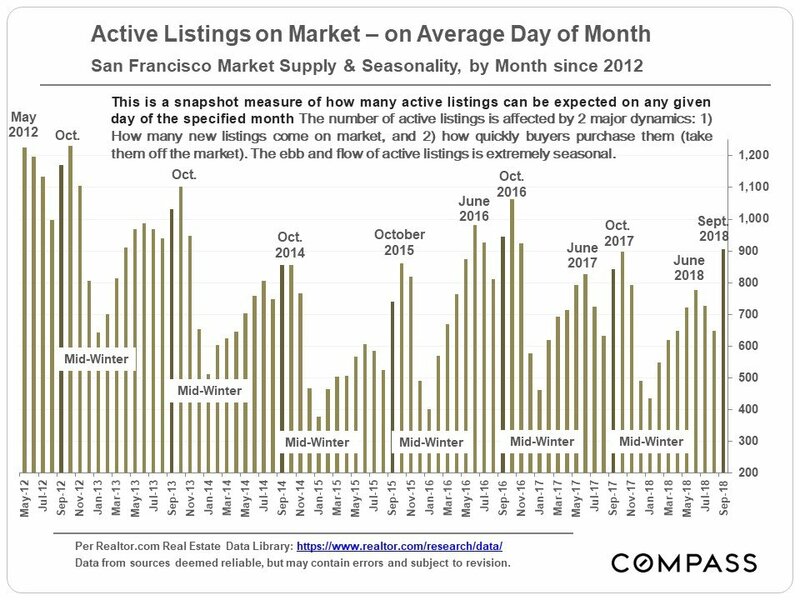 September typically brings the largest number of new listings to market as folks try to sell before the market goes into hibernation during the winter months following Thanksgiving. This September was no different in that regard. But the number of new listings jumped 28% over September 2017 and hit its highest point in years. 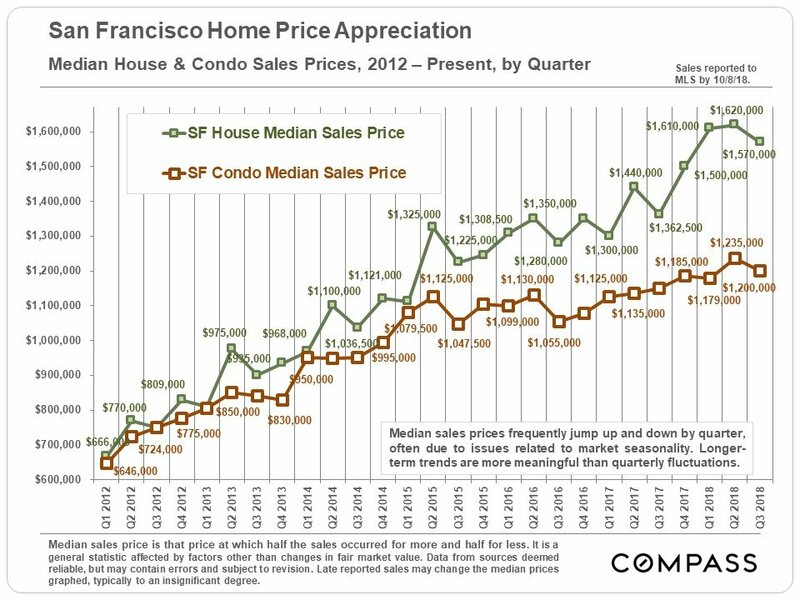 Since constrained supply is one of the things that has been driving San Francisco prices higher, a jump in total active listings – as opposed to new listings — could signal a slowdown. Yet we haven’t seen any dramatic jump in total active listings (see chart below). While active listings in September were up slightly over 2017, year to date they are about on par with last year and lower than 2016. One of the metrics we look at to measure demand is the number of properties that see a reduction in their list price while on the market. Some properties are just priced too aggressively to begin with, but for a long time now the reverse has been true: agents price properties low and expect competing buyers to bid the price up. So a jump in the number of listings with price reductions can signal that the market is cooling off. If there is the whisper of a chill wind starting to blow it may be in the next chart, which shows a 37% jump in price reductions in September 2017 over the previous year and an 18% increase in reductions over September 2016. 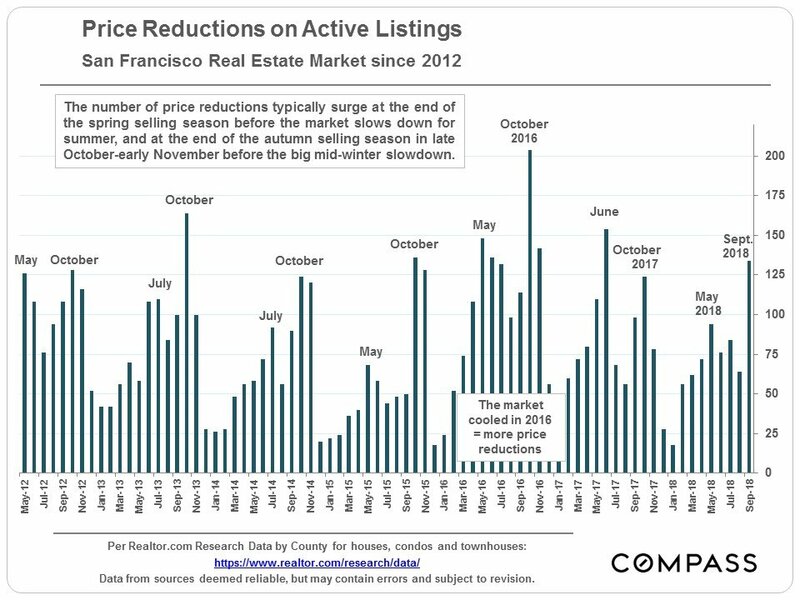 And, perhaps significantly, the higher number of price reductions in 2016 overall (see October 2016 especially) relative to the two previous and subsequent years was in fact accompanied by a market slowdown – albeit a temporary one. If, in fact, a slowdown has arrived or is on its way, rising interest rates and the recent tumble in the stock market is not going to help. The NY Times article I mentioned suggests that wage increases simply haven’t kept up with price increases. And buyers may be starting to realize that the tax law changes enacted earlier this year will result in a decrease in the tax benefits of owning high-priced homes. Here in SF, that’s pretty much all we have. As always, your comments, questions, and referrals are much appreciated!